Suzy as the Wasp! Marilyn as Giganta! Suzy, Frank, Marilyn and Brad have a costume party with a difference. They dress up as their favorite superheroes, and get their super powers too! 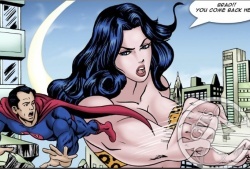 Suzy shrinks down as the Wasp, while Marilyn becomes a bombshell Wonder Woman. 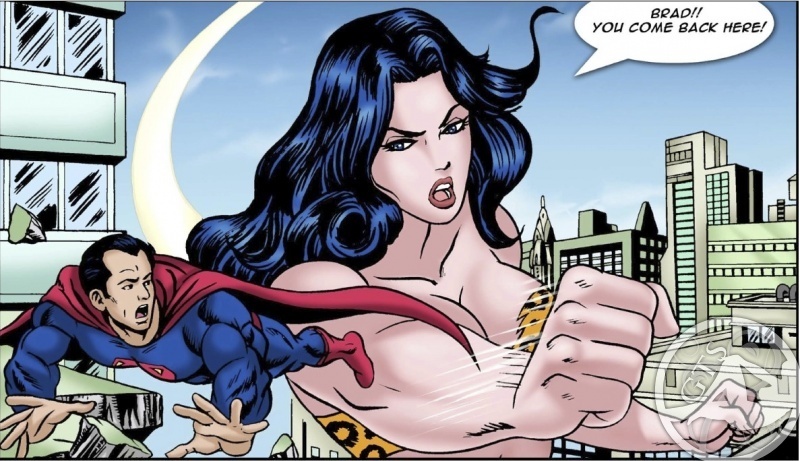 Then Suzy fights back as a spell-inducing Zatanna, which prompts Marilyn to grow into a 50-foot Giganta. And then… well, you get the idea. If you like SW, GTS, SM, BE, mind control, or almost any other type of process you can dream up, you should find something to enjoy here.